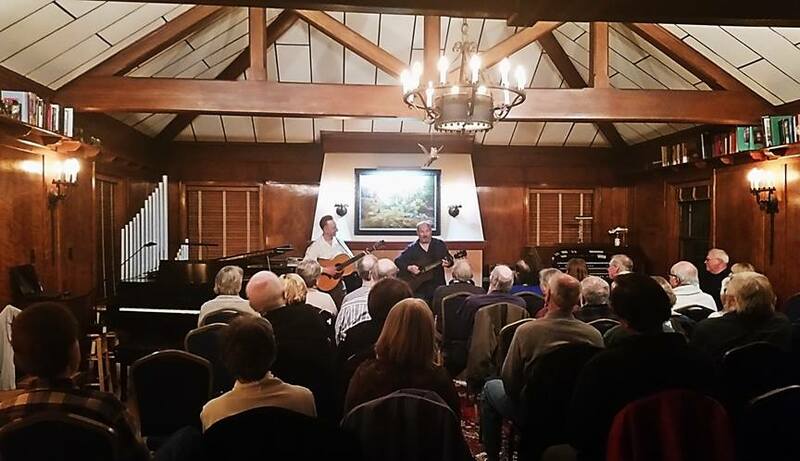 We occasionally host a “moveable” Flying Cat Concert at The Music Room, a wonderful house concert venue located near Butler University. Performers and audiences love this space, which boosts a baby grand piano and and a pipe organ, and we are thrilled to be able to host concerts at this historic home. Audience members find a warm welcome and comfortable seating to go along with the snacks and beverages. Please join us for a concert at this musical treasure, you will be glad that you did. Contact the Music Room at themusicroom52@gmail.com at ask to be added to the list to receive invitations to other performances at this location. Lambert & Walz, playing to full house at The Music Room.